At the end of last year, as I was hitting number 600 for movie rankings on this blog, my buddy John asked to stake a claim to watching movie 666 with me. He spent some time thinking about it. I had already seen ANTICHRIST, so he rejected that one (though wanted to do it for obvious reasons). He also considered just doing something terrible like THE ROOM. Ultimately, he decided to bring this documentary which, in his mind, demonstrates the ultimate definition of evil. I watched DEAR ZACHARY: A LETTER TO A SON ABOUT HIS FATHER (2008) on 4.28.14. It was my first viewing of the film. Filmmaker Kurt Kuenne lost his good friend, Andrew, to a vicious murder. When it became evident that Andrew had a baby on the way he decided to document the stories of lives touched by Andrew so that one day his son, Zachary, might begin to know who his father was. What unfolds throughout this movie is the six years between that decision and the film’s conclusion. The roller coaster we go on is surprisingly steep. This is a film which is deeply personal to Kuenne, and his closeness to the subjects sometimes blind him from being objective. And that is what makes this movie so vital. 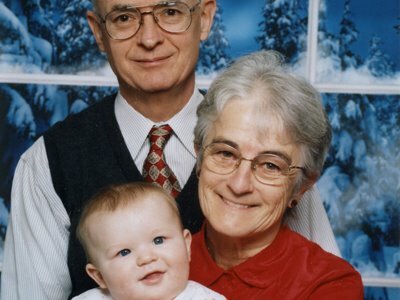 You will meet, through this film, the alleged murderer: Shirley Turner. She is clearly not a sane human being, but she is damn good at hiding her psychosis at the most important times. The film’s subjects all have understandable disdain for her. Perhaps her story is more nuanced than is provided here, but she hasn’t, in this film’s eyes, earned any sort of sympathy. It is understandable why the film won’t go there. On the brighter side we meet two people who turn out to be some of the best human beings alive. Andrew’s parents, David and Kathleen, show surprising restraint, grace, and strength. Your heart will ache for them in the 90 minutes of this film, and you will find you are not even close to alone in that sentiment. This, by way of summary, sounds like a typical crime documentary. It is not. The personal nature elevates it, as does the extent of the crimes committed. It’s humor is genuine, because the people using it are doing so even as they know they are speaking of a murder; it all comes out from memory of Andrew’s antics. We also see an amazing amount of Andrew on film from before his death, thanks to the fact that Kuenne has always been a budding filmmaker. Perhaps this film is too concerned with holding back its secrets. It borders on exploitative. Yet, again, it stands out as powerful both because of the intent of the film and the investment Kuenne has made to tell the story. This is not an easy movie to watch. But it is essential documentary filmmaking about an incredibly horrible story. For documentaries, I use EFFECT in place of ACTING. This is an effort to to tell how effective the filmmakers were in telling the story they wanted to tell. Some very upsetting stuff here. Even worse than some thrillers, except that this story is all real. And all so damn tragic, too. Good review John. Yeah man. This story would e rejected by Hollyood.